Grab 1 Autographed Rookie Jersey card in every Box! Get 1 More Jersey Card showcasing a Rookie in Each Box! Collect Winning Materials AND Winning Combos Jersey cards! Look for (1) Autographed Rookie Jersey Card and (1) Rookie Jersey Card in every box! Each box will also yield (1) Winning Materials Jersey Card, (1) Winning Combos Jersey Card, (1) BONUS PACK, and (1) Ice Premieres Rookie Card! 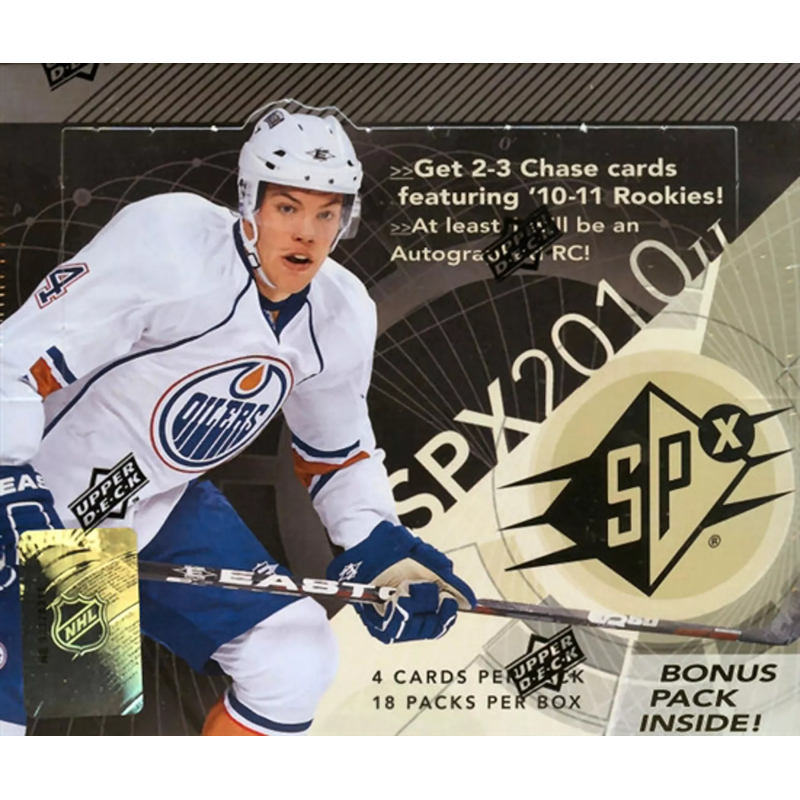 - Best of the Best: Get 1-2 short-printed, signed RC's in each case! * (NEW) Rookie Materials Jersey Card (featuring only the top 16 Rookies)! Continue to Collect Ice Cards! 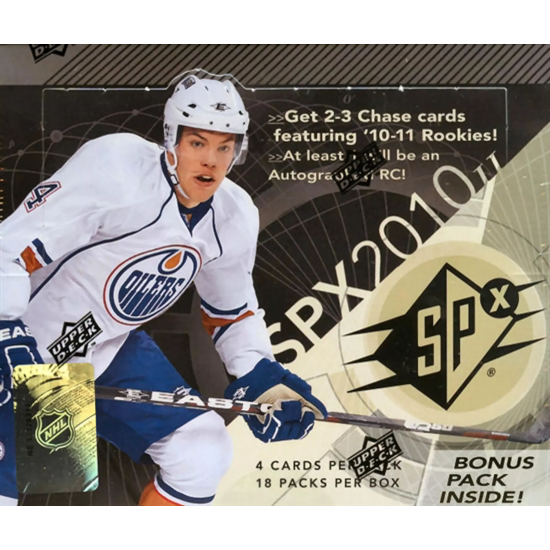 - Picking up from Black Diamond, more Ice Premieres Rookie Cards and Regular Cards are available here!! * Get at least 1 Ice Premieres Rookie Card in Every Box! - One of Each Insert in Every Box! - Grab Patch and Autograph versions too! A Welcome Addition: SPx Finite Rookies! - This great insert features the top Freshmen, broken into 3 tiers of numbering! Back for Year 2: Shadowbox cards! - NEW: Now including Autograph versions, along with Regular and 'Stoppers' versions, featuring the NHL's best goalies! - Finish your Regular Set with a Bang! - These Autograph versions fall 1 per case, while non-autographed cards hit 2/case! - Flashback Fabrics always garner HUGE values! Find Winning Trios cards, at least 1 per case!